. . . Extra Comics . . .
. . . Archive . . .
. . . Start Here . . . Thank you for reading! I figured out that I was doing line art in a very silly way that was making it take twice as long, and not look as good. I am hoping the pages to come will now be a lot faster and nicer looking! 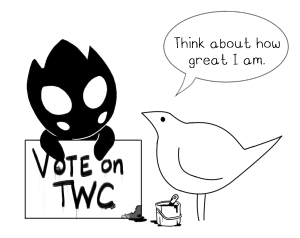 If you want to help the comic grow, please give it a vote on Top Web Comics, or you can follow LIM on Tapas or Webtoon. Or like, tell your friends I guess? I don’t know how this works.